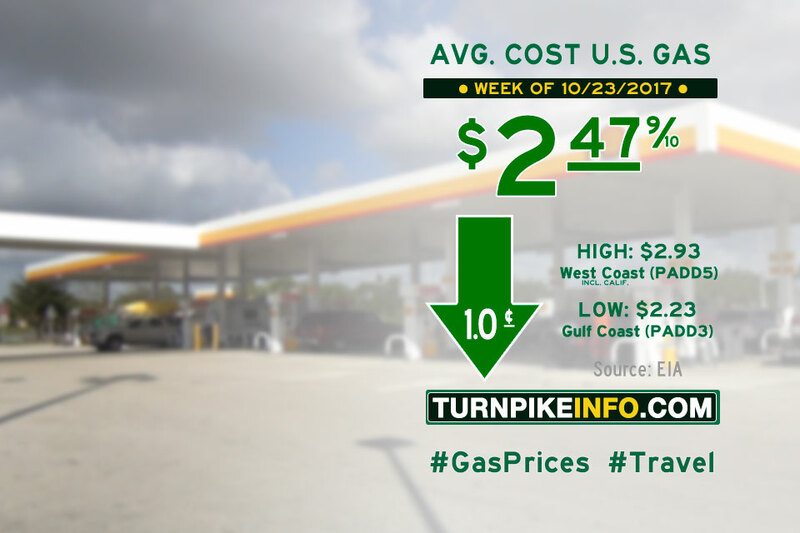 Fort Lauderdale, FL – The cost of driving went down for most Americans during the past week, according to the latest fuel price survey from the U.S. Energy Information Administration. The weekly E.I.A. report states the average price for a gallon of regular unleaded gas went down about a penny. The nation’s average gas price is now $2.48 per gallon. Prices went down by about twice the national rate for drivers along the nation’s East Coast, as well as in the Central and Lower Atlantic regions. However, costs in the Midwest went up by nearly two cents per gallon. While the nation’s average gas prices were down, the trend was the opposite for the trucker. The E.I.A.’s diesel price survey shows the cost of diesel went up by a penny per gallon. The national average for a gallon of diesel is now about $2.80. Fuel prices for all regions are shown below, as gathered from www.eia.gov.